Forensic fraud is one of the seven causes of wrongful convictions of innocent people. The others are (1) mistaken eyewitness testimony, (2) police misconduct, (3) prosecutorial misconduct, (4) ineffective assistance of counsel, (5) false confessions by innocent defendants, and (6) false testimony by jailhouse informants. Annie Dookhan, a former analyst in a crime laboratory in Massachusetts, recently confessed to police that she had falsely reported that she had detected the presence of a controlled substance in a drug exhibit without performing the necessary test or she had tampered with a drug exhibit that had tested negative for the presence of a controlled substance by adding a known controlled substance to it before retesting the exhibit to assure that she would detect that controlled substance when she ran the test a second time. Dookhan admitted that she committed this fraudulent misconduct in 34,000 cases involving 60,000 evidentiary exhibits. Police also discovered that she had misrepresented her academic credentials during her employment at the crime lab by falsely claiming that she had obtained a masters degree in chemistry from the University of Massachusetts at Boston. She started working at the lab in 2003. Annie Dookhan, the former state chemist at the center of a massive lab scandal which may jeopardize thousands of drug cases, could face decades behind bars if convicted, said Attorney General Martha Coakley. Dookhan, 34, pleaded not guilty this afternoon in Boston Municipal Court to two counts of obstruction of justice and falsely pretending to hold a degree from a college or university. She posted $10,000 bail late this afternoon. Prosecutors said today Dookhan would sprinkle cocaine on negative test results, test them again, and report the positive finding; and test a few samples out of a batch of 25 and list them all as positive. Governor Deval Patrick closed down the Hinton State Laboratory Institute in Jamaica Plain where Dookhan was employed and he appointed former prosecutor David Meier to review all of the cases that she worked on during her employment at the lab. Meier recently said he has identified 1,140 people presently incarcerated whose cases were handled by Dookhan. Since crime labs usually destroy controlled substances after the cases are resolved, retesting evidence that she handled may not be possible in many cases. Dookhan’s ongoing fraud was discovered in June 2011 after supervisory personnel at the lab discovered she had altered laboratory records after the fact in an effort to show that she had logged out and returned a drug exhibit to the laboratory safe after testing it. On June 21, 2011, one day after supervisors of the William A. Hinton State Laboratory Institute chemist — identified by multiple criminal lawyers as Annie Dookhan — found no trace of her logging drugs in and out and of an evidence room for testing on June 14, the record-keeping “irregularities” were suddenly fixed, Linda Han, head of the Department of Public Health lab, wrote in a Feb. 21 letter this year to Norfolk District Attorney Michael Morrissey. “On June 21st, when the log book was re-examined, entries did appear showing a transfer of the samples from the evidence office to the chemist. It appeared that these entries were made by the chemist after June 14,” Han told the district attorney, noting the chemist was immediately stripped of her lab duties. One of the most overlooked, but nevertheless important, issues in any trial is whether the evidence presented by the prosecution to support its case is in the same condition as it was when the police seized it. The integrity of the evidence has been important to creating and sustaining legitimacy and confidence in the ability of a formal dispute resolution process ever since people began to settle in permanent communities along river banks and support themselves year-round by fishing the rivers and growing crops in the fertile soil along the river banks. We are more aware today of the necessity to protect the integrity of the evidence because of the unique sensitivity and ability of DNA testing to identify the specific human source of trace amounts of blood evidence invisible to the human eye. Jurors and defendants have a right to expect that police and prosecutors will protect the integrity of the evidence at all times when it is within their possession, custody or control. Defense counsel have a duty to their clients to examine the evidence before trial and review all of the documentation regarding who handled it and where it has been since it was seized. A reasonable doubt that a defendant committed the crime charged can arise from the evidence or lack of evidence. If the evidence in a case appears to have been tampered with or its papers are not in order, I would expect the defense attorney to argue that an acquittal is appropriate. Chain of custody is the legal term that lawyers and judges use to describe the record-keeping trail from the crime scene and the Medical Examiner’s Office, where most evidence exhibits are collected, to the property room at the law enforcement agency’s offices to the Crime Lab, for testing and analysis, and back to the property room where it will be stored until needed for trial. Every police department property room should be a secure facility accessible only by authorized personnel. Evidence log books are maintained in the property room, typically at the front desk. The logs record from whom evidence was received and when it was received as well as to whom it was released, when it was released, and why it was released. Access to evidence stored in the property room is restricted to people with security clearances who work there. Only authorized officials, such as police officers and prosecutors are permitted to examine evidence. They are not permitted to enter the property room to retrieve it. Instead, they have to go to the front desk and request the item or items they want to see. The items are placed in a conference room for them to examine and replaced in storage after they are done. Appropriate entries in the log book are recorded to identify who examined what items of evidence and when they examined them. The process of evidence collection in the Zimmerman case began shortly after 7:30 pm on February 26th in the Retreat View neighborhood and continued the next day at the Medical Examiner’s Office at the autopsy. Most of the items collected would have been placed in brown paper bags, which are the preferred method of storage because they allow sufficient air to circulate and keep the exhibit dry. The bag would have been sealed with tape, and marked with a preassigned exhibit number preceded by the first and last name initials of the person who collected exhibit. Exhibits collected at the Medical Examiner’s Office will be preceded by the initials ME. For example, Exhibit ME-12 is the number assigned to Trayvon Martin’s hooded sweatshirt. After securing the bags so that they cannot be opened without leaving an easy to detect cut, the forensic officer would have placed his signature on the bag at a location where the writing spans an area of the bag partially overlapping the surface of the bag and the tape to secure it. This would prevent someone from escaping detection by removing the tape to get into the bag and replacing the tape. Police property rooms also have rooms devoted to drying out evidence before it is stored. Bloody clothing, for example, must be dried out before it is stored or the blood will decompose and the DNA will break down potentially preventing a successful DNA analysis. Dried blood stains are the best way to preserve blood for subsequent DNA analysis since they will last indefinitely. Blood samples and other biological evidence are stored in refrigerators. When defense counsel decide to look at one or more of the items in evidence in a case, the standard procedure is to call the prosecutor assigned to handle the case and schedule a mutually convenient time to meet at the front counter outside the Property Room. The meeting would take place in a reserved conference room with all of the bags containing evidence in the case already present.The table would be covered with butcher paper to catch any trace evidence that might be dislodged when items are examined. Working off an inventory list, defense counsel would request by number the items that it wants to examine. After everyone puts on vinyl gloves to avoid contaminating the evidence while handling it, a forensic or evidence collection officer from the investigative agency would cut an opening large enough to reach in and renove the object in order to examine and photograph the particular item of interest. Magnifying glasses and portable microscopes are used to detect and examine trace evidence, such as blood and fibers. The forensic official would then replace the item inside the bag and reseal it with tape signing the bag so that a portion of the signature is present on the tape as well as the bag. If I were representing George Zimmerman, I would have requested copies of the log books so that I could track the location of each item of evidence at any point in time since it was seized. I would want to know, for example, what items were sent to what section of the crime lab for testing. I would compare the forensic reports that have been released with the information in the log books to determine if anything is missing. I would specifically request any reports that appear to be missing. If I were to find a gap or incomplete or confusing entries in the log books regarding any item of evidence, I would prepare a motion to exclude that item from being mentioned or admitted at trial into evidence on the ground that, given the information in the log books, the prosecution cannot lay a proper foundation. In other words, the prosecution should not be permitted to mention any item of evidence or present any testimony about any test results obtained for that item, unless it can show an unbroken chain of custody that would assure the integrity of the item for the jury. The general rule today is that trial courts have discretion to grant or deny these motions and may require actual evidence of tampering that casts doubt on the validity of the results. Every good lawyer always makes an objection on the record, however, to preserve the issue for appeal. Even if the motion to exclude is denied, defense counsel should always argue that the break in the chain of custody supports a reasonable doubt. I also would specifically request the laboratory bench notes prepared by each forensic scientist for each analysis that he or she performed. Laboratory bench notes are handwritten notes generated at the bench by each scientist to record what they did and when they did it with each item of evidence that they examined. They also indicate when they obtained each item from storage at the crime lab and when they returned it. Forensic scientists generate their reports from the information recorded in their bench notes. The only way to determine what tests they performed and whether they followed the proper protocol or procedure for each test is to look at the bench notes. I also would request the vitae and results of proficiency tests taken by each forensic scientist. Meanwhile, I would already have begun to assemble a team of forensic scientists who specialize in various areas relevant to this case. After I had assembled the team, I would schedule a meeting for all of us to get together to discuss the case and create punch lists of tasks that need to be done. At some point in the relatively near future, I would want to view the evidence and I probably would want some of my experts to be there as well, particularly my blood stain and trace evidence analysis experts. Finally, forensic fraud, which has been identified as one of the seven causes of wrongful convictions of innocent people, is a major problem in this country. Criminal defense attorneys, who truly are liberty’s last champion because they fight to protect the constitutional rights of all citizens when they fight to protect the constitutional rights of their clients, need to get over their fear science and be ever vigilant and aggressive in scrutinizing the work of forensic scientists. They represent our best chance to clean-up forensic science. After 32 years, Elizabeth Morris, an Australian coroner, has finally corrected a terrible injustice to Lindy Chamberlain and her former husband Michael in the world famous dingo baby case by issuing a new death certificate in which she found that their baby, Azaria Chamberlain, was killed by a dingo that snatched her from the family tent in the Uluru campground near Ayer’s Rock on August 17, 1980. Lindy saw a dingo leave the tent and when she checked on the baby she found her missing. 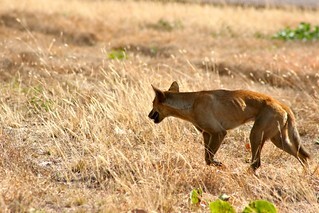 Despite objective evidence that a dingo had taken her baby (campers heard a growl just before she cried out for help, paw prints in the doorway to the tent, dragmarks in the sand and canine hairs in the tent), most Australians did not believe her claim that a dingo had taken her baby. In November, 1982 a jury convicted her of murder and her husband Michael of being an accessory to murder after the fact. She was sentenced to life in prison and he was sentenced to probation. They later divorced. The critical evidence in the case was testimony by James Cameron from the UK and Australian forensic biologist, Joy Kuhl. They testified that infant blood was discovered in the Chamberlain’s car on the dashboard, in a camera bag, on a pair of scissors, and a bloody handprint on Azaria’s jumpsuit. This evidence appeared overwhelming and most Australians applauded the verdict. Later on, however, forensic serologists reviewing the evidence determined that there was no human blood inside the vehicle or on any of the items examined by Cameron and Kuhl. Instead, they only found red paint. Kuhl admitted that she had only conducted a presumptive test for blood. She assumed it was human blood without conducting a necessary confirmatory test. Turned out that she had obtained a false positive for human blood due to the presence of copper oxide in the stains, which is ubiquitous to the area where the Chamerlands lived. Cameron eventually admitted to a royal commission reviewing the case that he merely assumed the handprint contained human blood; he never actually tested it. The commission exonerated the Chamberlains in 1987 and they were pardoned and compensated. Nevertheless, despite multiple efforts since then to persuade the coroner to amend Azaria’s death certificate, they were unsuccessful. Finally, they succeeded after Elizabeth Morris became the coroner. When coroner Elizabeth Morris ruled that a dingo had taken baby Azaria Chamberlain from her cot in the Australian outback 32 years ago, there were smiles, tears of relief and loud applause from the packed gallery at Darwin magistrates court. But there were no surprises. There had always been a sense of unreality in the conviction of Lindy Chamberlain, a Seventh-day Adventist pastor’s wife and respected member of the community, for cutting the throat of her nine-week-old baby. To this day, nobody has ever advanced a plausible motive. After Chamberlain’s conviction, there were other instances of dingo attacks on children – including the fatal mauling of nine-year-old Clinton Gage on Queensland’s Bribie Island in 2001 – and they provided the critical circumstantial evidence needed to end the Azaria mystery. Chamberlain, though remarried, embraced her former husband Michael. They had both suffered the tragedy of Azaria’s death and knew they would probably still be together had it not occurred. It was the end of a case that had brought international attention over three decades and had been dramatised for television, film and stage. It had even been turned into an opera. You are currently browsing the archives for the Forensic Fraud category.